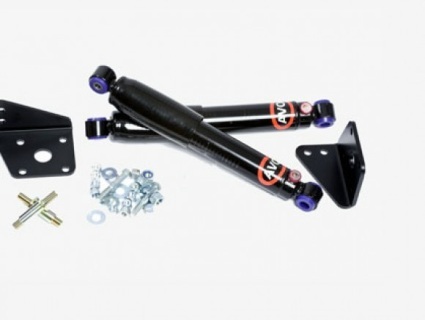 This renowned kit transforms the ride and handling of the Sprite & Midget.This suspension kit has been designed to overcome some of the weaknesses of the original suspension arrangement and give a more positive controlled movement of the suspension. 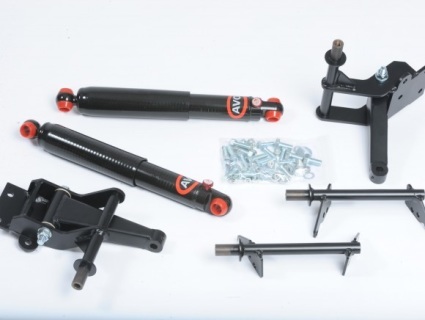 This bolt on kit includes new top arm assemblies which replace the lever arm damper, providing more torsional and lateral rigidity which has an immediate steadying effect on the handling of the car. 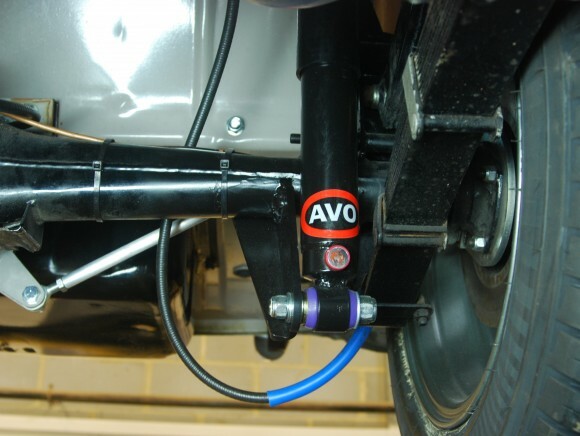 This rigidity also improves the braking effect as the ‘twisting’ effect usually experienced under heavy cornering and braking is eliminated by the top arm. The top arm has also been designed to give 2 degrees of negative camber to tighten up your Sprite or Midget’s handling. The negative camber reduces understeer giving quicker cornering response and superior road holding. The AVO adjustable telescopic dampers has been chosen for this kit for their progressive damping, as the suspension movement increases the damping increases – this is not possible with the lever arm Armstrong damper.